For IT News Week 4 Jul 2017. LinkedIn, the world’s largest professional online network, today announced the availability of LinkedIn Lite in Malaysia and more than other 60 countries globally, after it was first launched in India. The lighter version of LinkedIn focuses on speed and simplicity to provide greater access to opportunities for more professionals and students in the world, helping them to stay informed, get ahead in their careers, and be more productive. LinkedIn Lite is now available through the web and the Android app, and includes key features such as newsfeed, profile, networks, messaging, and notifications. It is accessible by virtually any Internet-capable mobile device on the market (even on 2G networks), while the Android app is less than 1 megabyte and can reduce data usage by as much as 80 percent. The full list of 60 plus countries where LinkedIn Lite is available is here. 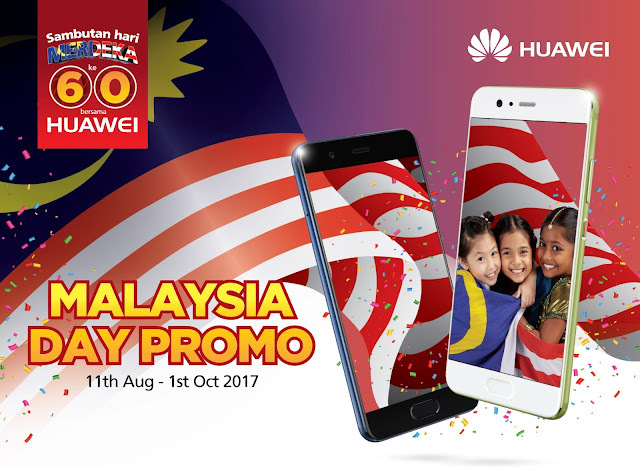 In celebration of Malaysia’s two significant occasions, Merdeka and Malaysia Day, HUAWEI is offering exclusive gifts up to RM399 to customers who purchase participating models nationwide, from 11 August until 1 October, or while stocks last. The Merdeka-Malaysia Day Promo Campaign is aimed at fostering closer ties amongst all HUAWEI customers. This is also an opportunity to reward customers as a token of appreciation by offering attractive gifts across its Mobile, Tablet and honor series. Customers can look forward to own this exclusive gifts such as HUAWEI P10 Series or Mate 9 Series’ Premium Gift Box, HUAWEI Glass Bottle, Phone Cover and Flip Cover…and many more! To help organizations around the world grow faster, differentiate from competitors, and better serve their customers, Oracle today announced significant new capabilities and enhancements to Oracle Cloud Applications. With the introduction of Oracle Cloud Applications Release 13, Oracle is further extending the industry’s broadest, deepest, and fastest growing suite of cloud applications. Innovations in the new release enhance the user experience and empower business users across the organization including customer experience, finance, HR, and supply chain professionals. A recent market research study commissioned by Milestone Systems revealed that retail businesses in Singapore have room for growth in their use of video surveillance solutions to cut costs, and increase revenue. The study found that few SME retail firms are fully taking advantage of intelligent video solutions, beyond basic functions such as surveillance today – despite having a high level of satisfaction with the software. Video surveillance is still only seen as a necessary business cost, rather than a tool which can help optimize business processes to drive growth. Although more than 50 percent of businesses recognizing basic benefits of video surveillance for security (96 percent), just under half of businesses surveyed (47 percent) were unable to assess the true benefits of video surveillance solutions and how it has improved staff productivity or profitability. They were unaware of additional functions such as facial recognition and heat mapping that can help improve operational efficiency to generate a strategic overview of their processes and/or customers. With video surveillance increasingly on the rise, including the prominent use of facial recognition technology in Changi’s Terminal 4, intelligent video surveillance, layered with analytics, will be the key to retail businesses surviving the disruption caused in their industry by bigger, e-commerce players. Cloudera, the leading provider of the modern platform for machine learning and advanced analytics, announced that for the second consecutive year it has achieved certification under the prestigious Service Capability & Performance (SCP) Standards for delivering world class customer service and support. Based on a stringent set of over 100 major performance factors, the SCP Standards quantify the effectiveness of service and support operations. The second quarter of 2017 was proof that long-lasting DDoS attacks are back in business. The longest attack in the quarter was active for 277 hours (more than 11 days) – which is a 131% increase compared to Q1. This is so far a record for the year, says the Q2 2017 botnet DDoS report from Kaspersky Lab experts. Duration was not the only distinctive feature of the DDoS attacks between April and June. The geography of incidents has also seen a dramatic change with organizations with online resources located in 86 countries targeted in the second quarter (compared to 72 in Q1). The top 10 most affected countries were China, South Korea, USA, Hong Kong, UK, Italy, the Netherlands, Canada and France — with Italy and the Netherlands replacing Vietnam and Denmark that were among the top targets in Q1. 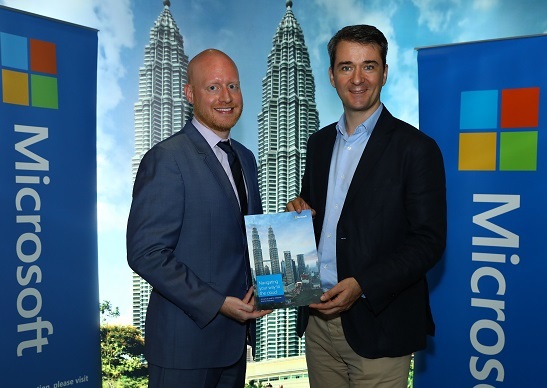 Microsoft commissioned Forrester study, “Ensuring Agility And Trust In A Rapidly Changing Business Environment” was launched today at media roundtable. As per the study, Financial services institutions (FSIs) across the Asia Pacific region are under pressure to increase agility, improve efficiency, and embrace digital transformation. But many organizations in the sector, especially in Malaysia, still lack a thorough understanding of how they can navigate regulatory and logistical processes, which slows cloud adoption and potentially puts these firms at a competitive disadvantage. The study evaluates cloud adoption trends among FSIs in Asia Pacific and gauges their knowledge and perceptions of cloud-related financial regulations. 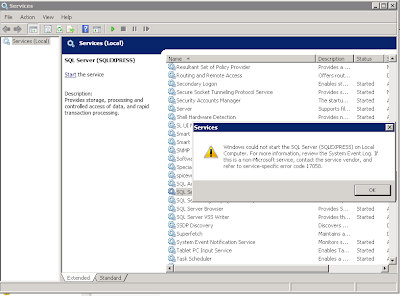 It analyses the impact of regulatory compliance, security and privacy, and reliability concerns on current and future cloud initiatives. The study was conducted over a 3-month period, and involved in-depth interviews with 34 senior IT decision-makers in the Asia Pacific financial services sector from nine countries: Australia, Hong Kong, Korea, Malaysia, New Zealand, Japan, Indonesia, Singapore and the Philippines. Forrester found that these organizations are at vastly different levels of maturity in cloud understanding and adoption. Founded over a decade ago in the UK by Pinky Lilani CBE DL, and proudly supported by headline sponsor Aviva, the awards are aimed at recognising the inspirational young female stars of today and tomorrow. 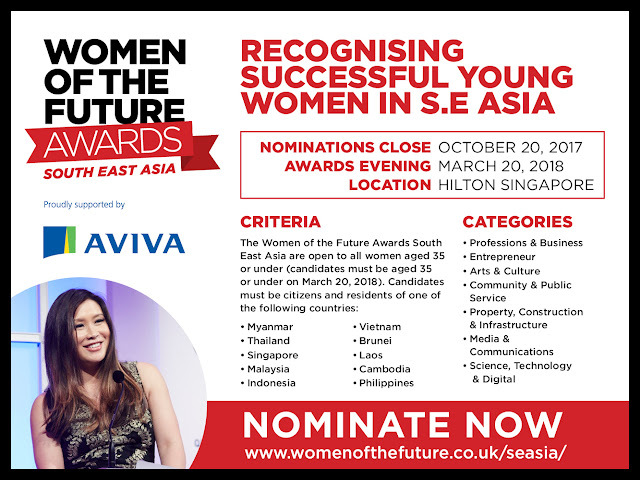 They are open to women aged 35 or under and celebrate talent across seven categories including business, culture, media, technology, community and more. Submissions close 20 October 2017. HUAWEI Malaysia today confirms that it will be introducing its latest addition of the nova series, the nova 2 Plus this August. 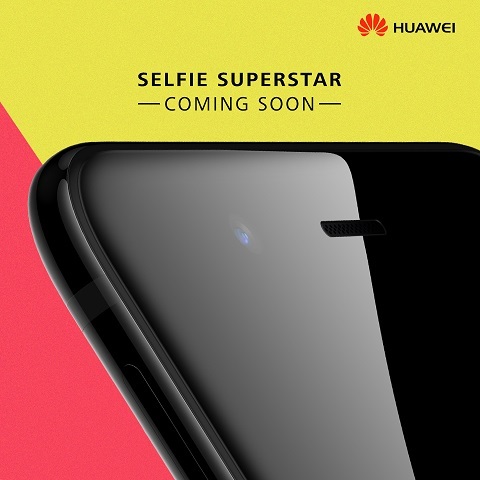 The new smartphone by HUAWEI will take lead in the selfie game with 20MP front camera and dual-camera technology. The nova 2 Plus offers amazing photo-taking experience capturing every exquisite details that also comes with a capacity of 128GB enabling users to store photos and videos without clogging up the internal memory. HUAWEI nova 2 Plus features a 20MP front camera boasting 3D facial recognition technology to produce vivid and stunning photography. When combined with HUAWEI’s self-developed ISP, it enhances the camera functionality with higher resolution creating a more detailed image. Selfies are now more striking than ever with the intelligent algorithms. HUAWEI nova 2 Plus uses 3D facial recognition technology to capture more details, achieving millimeter-level facial data positioning. An intelligent portrait algorithm that takes into account a wide range of facial features and the difference in skin type and textures, delivering more natural and true-to-life portraits. The HUAWEI nova 2 Plus is equipped with a rear 12MP+8MP dual-lens camera setup to capture more stunning and detailed images. The wide-angle 12MP lens can capture broader scenery, while the long-focus 8MP lens shoot for subjects at a distance. While the wide-angle lens is used more often, as the user zooms – two lenses will work in unison. The second lens serves an auxiliary lens when the main one is shooting, capturing all kinds of detail, including colors, brightness and clarity, to produce top-quality photographs.